It's Back! Save 15% On Nearly Anything You Can Find on eBay, Today Only. 15% off Sitewide | eBay | Promo code PREPSPRING. Maximum $50 discount, $25 minimum order. Promo code PREPSPRING will take 15% off nearly any $25+ eBay order (gift cards, real estate, and actual money are excluded, sadly), with a $50 savings cap. 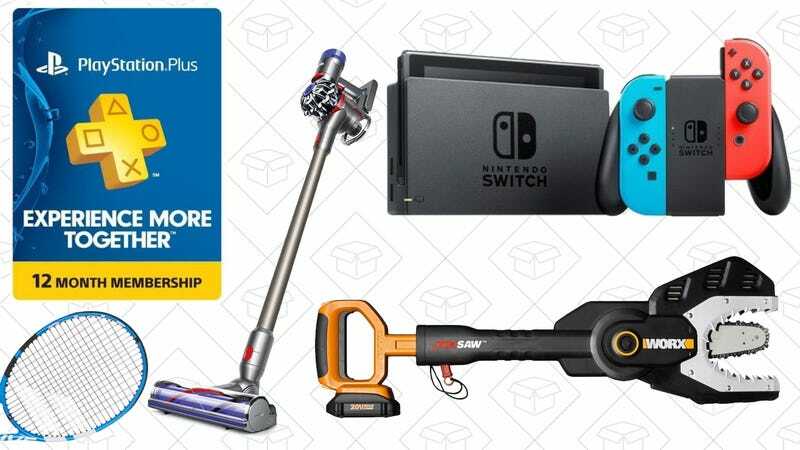 That includes everything from video games from Best Buy’s eBay outlet, to Nintendo Switch consoles (also available in Neon), to Dyson vacuums, to PlayStation Plus and Xbox Live memberships, to that rare vintage comic book that you’ve been eyeing. This sale wasn’t supposed to kick off until 4PM ET today, but I just tested it on a Nintendo Switch, and it brought it down to $246. How Do You Spell "Clandestine?" This Dictionary Safe Is Just $12 Today.